The receiver has one or two analogue 0-10V outputs. The height of the output values depends on the data transmitted from the sensors. The SRC-AO Multi works as a converter, which outputs the values of a data byte of an EnOcean telegram proportional to the analog outputs. 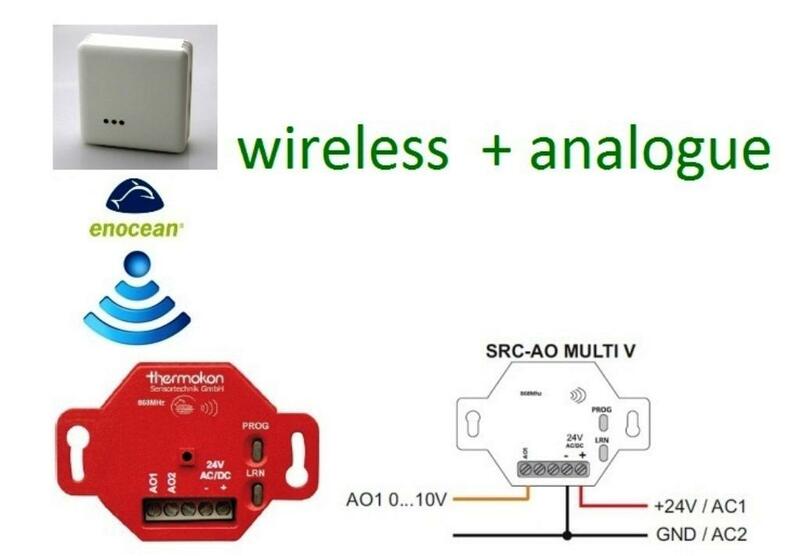 This allows EnOcean sensors in a simple way to evaluate and / or integrate into existing systems.